I’ve written four books at this point about the French Renaissance, and Catherine de Medici is a major supporting character in all of them. You cannot get away from studying 16th Century France without a thorough understanding of Catherine’s life as Duchess, Dauphine, Queen Consort, and finally, Queen Mother of France. Some books include Catherine in sketches of several royal women. Women of the Valois Court concentrates half of its contents on Catherine. A Girl’s Book of Famous Queens lumps Catherine in with several of her fellow queens. Noted court gossip, Brantome, lists her in his compilation of Illustrious Dames of the Court of the Valois Kings and Lives of Fair and Gallant Ladies. Catherine had such a complicated relationship with the French Protestants, who would later be known as Huguenots. If you’re interested in how she interacted with the Protestant faction at court, there are some solid sources at Archive.org. 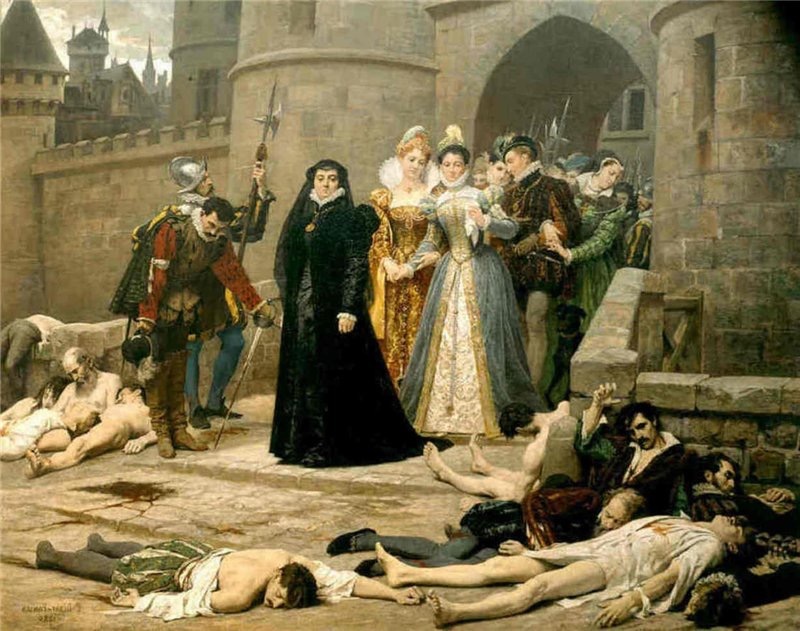 There are more theories about Catherine’s role in the St. Bartholomew’s Day Massacre and the assassination of Admiral Coligny, including some wild ones from the Victorian era. I really wish there were more sources on Henri III’s disastrous reign. One book that I relied on for my own research was The Later Years of Catherine de Medici. Heading in another direction is The Girlhood of Catherine de Medici. I never read it, but since you can download it for free at archive.org, you won’t be out much in the process. Dark Eminence: Catherine de Medici and her Children is completely new to me, but it’s in the public domain and also free despite the fact that it was only published in the 1960s. From what I can tell, it’s written in a novel format but it’s considered to be non-fiction. On the other hand, Balzac’s Catherine de Medici is a historical fiction novel, published during the Nineteenth Century. Madame Catherine was published in 1975, but is also in the public domain. I have to admit, I’m confused why a book that’s not even 75 years old is in the public domain. I have no idea if The Girl’s Book of Famous Queens is worth your time, but the title alone makes me smile. Don’t forget to grab your free book by clicking here or filling out the form below.